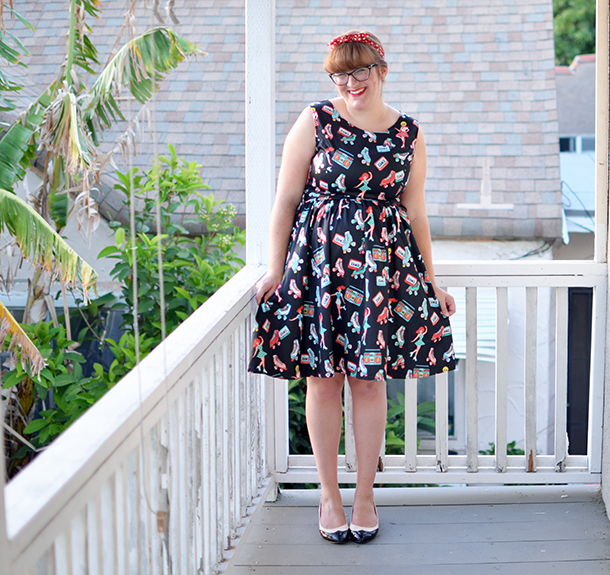 Say hello to my first Lindy Bop dress. 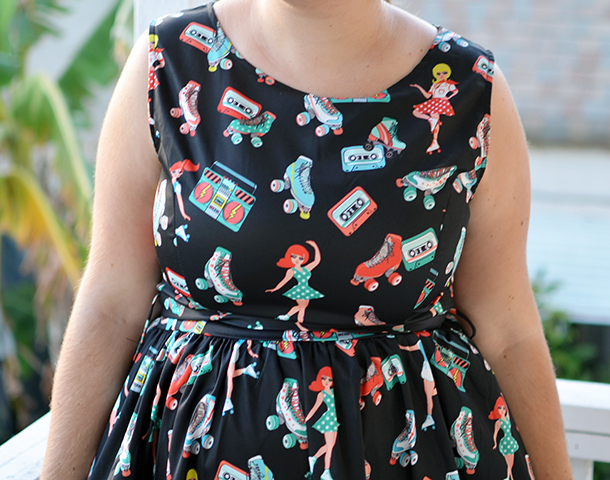 I've long admired Lindy Bop dresses on my favorite retro bloggers and Instagram babes, but I never really looked into the brand for myself. I think I always just assumed that it was out of my price range? I was mostly right for a lot of pieces, however, they had a huge sale last month, and I took it as an opportunity to finally snag a piece. This print was too good to pass up, as was the price. 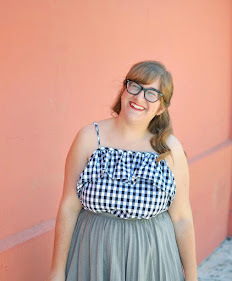 As I've mentioned, I've been sizing up to a large lately (because why not just be honest? ), but I decided to take a chance with a medium since it was all that was left. Luckily for me, it happens to fit like a dream! I can't believe how perfect it is. 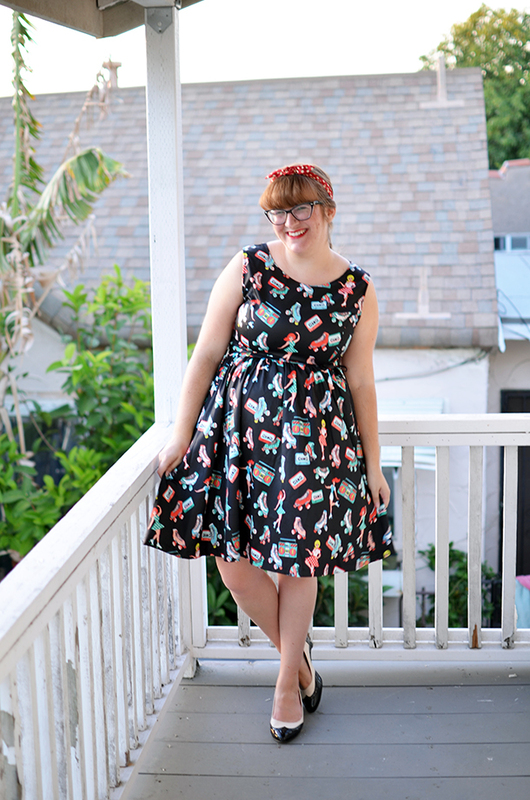 It will definitely not be my last Lindy Bop dress because I totally get the hype now. Work has been as busy as ever lately, and I'm still watching way too much TV in my free time. I spent all of yesterday evening taking more pictures with my friend Hanna that I can't wait to share with you, but that's about all of the excitement happening in my life. Can it be the end of June yet? My trip to visit friends and family in Illinois cannot come soon enough. And yes, if you were wondering, I was referencing Boogie Nights in my post title. 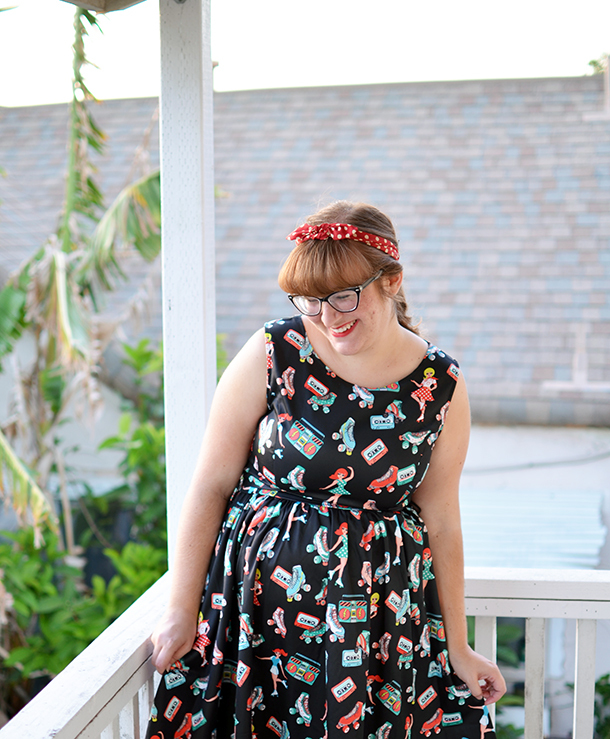 You think I'm going to wear a dress with roller skates on it and NOT think of Boogie Nights? 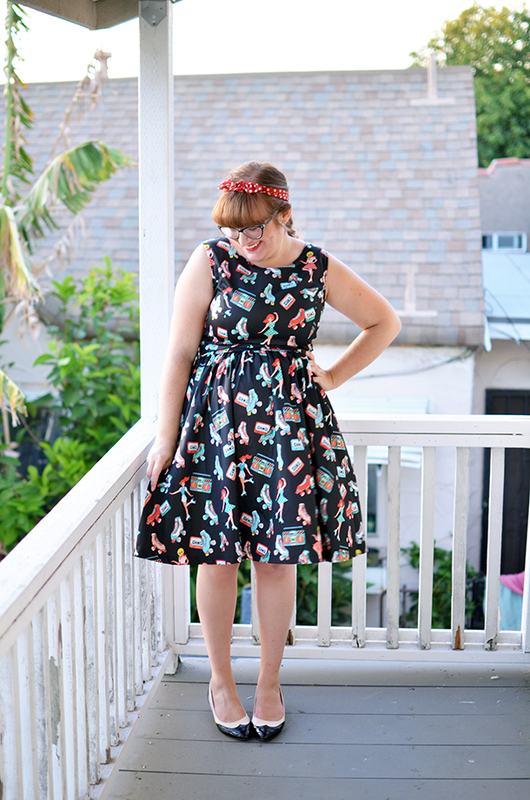 The print of that dress just skated into my heart!